A SpaceX Block 5 rocket engine encountered an anomaly on the test stand during a qualification test held on Sunday, November 5, 2017, at the NewSpace firm’s site located in McGregor, Texas. The accident was made public three days later on Wednesday and comes at a time when the company is experiencing an unprecedented rate of launch. The Washington Post noted that no one was injured during the test and the Hawthorne, California-based company’s 2017 launch manifest has at least three more flights slated to take place from Cape Canaveral Air Force Station’s Space Launch Complex 40 and Kennedy Space Center’s Launch Complex 39A. At present, the secretive mission, dubbed “Zuma”, is slated to launch on Nov. 16, with a cargo resupply run to the International Space Station, CRS-13, currently poised to fly from SLC-40 (returning launch operations to the launch site after more than a year) about three weeks later, on Dec. 4. On Dec. 22, SpaceX has another Iridium flight, number 4, scheduled to take place. 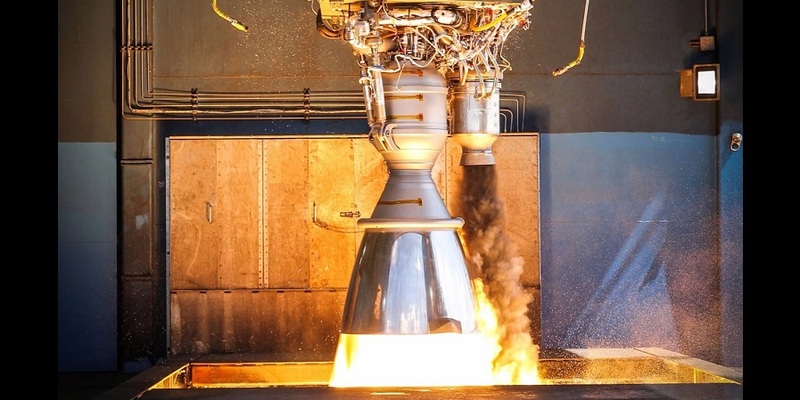 "On Saturday, November 4, SpaceX experienced an anomaly during a qualification test set up of a Merlin engine at our rocket development facility in McGregor, Texas. No one was injured and all safety protocols were followed during the time of this incident. We are now conducting a thorough and fully transparent investigation of the root cause. SpaceX is committed to our current manifest and we do not expect this to have any impact on our launch cadence." SpaceX told SpaceFlight Insider that SpaceX would only suspend further qualification testing on the Block 5 Merlin engines until the investigation is complete and that the company was not suspending testing on the Block 4 engines or on other tests in Texas. The 1st stage Merlin test stand at McGregor is composed of two test cells. One of the two cells was damaged during the anomaly and will need about two to four weeks of repair, as SpaceX noted. Block 4 Merlin engine testing should resume within the coming days. 2017 has been a banner year for SpaceX with 16 missions having been sent aloft, so far, from either KSC’s LC-39A or SpaceX’s launch site at Vandenberg Air Force Base in California – Space Launch Complex 4E (East). According to the company, that number could reach as high as 19. Unofficially, there could be as many as 20 launches carried out by SpaceX in 2017. The uncertainty comes from whether SpaceX’s Falcon Heavy will fly this year, the complexity of the launch vehicle, and the fact that it has 27 engines in its first stage alone has made its official launch date difficult to pin down. Aug. 22, 2014 – A reusable rocket prototype self-destructed in the skies above McGregor during a test flight. June 28, 2015 – A SpaceX Falcon 9 rocket exploded some two-and-a-half minutes into the flight. The rocket’s payload, the CRS-7 Dragon spacecraft – stocked with supplies, hardware, and experiments bound for the International Space Station – was lost. Sept. 1, 2016 – Another Falcon 9, this one sitting on the launch pad at SLC-40 exploded, resulting in the complete loss of the roughly $185 million Amos-6 satellite, the Falcon 9 rocket, and a portion of the launch site. As noted, SpaceX is hoping to resume operations at the site in less than a month. Most launch vehicles encounter an anomaly within their first few flights – something the Falcon 9 avoided for its first five years and 18 missions.